I’m very fond of the American Zinfandels produced by Joel Peterson and his Ravenswood wines. Here’s a trio to try: Ravenswood Vintners Blend Old Vine Zinfandel is a great bang-for-the-buck at $12.99, and it’s even a better bargain when it goes on sale here, which is frequently, for $9.99. It’s big and bold, but simultaneously approachable, with soft tannins and rich fruit flavors. A step up from Vintners Blend is the Ravenswood County Series, featuring juice from Mendocino, Lodi, Napa Valley and Sonoma. I particularly like the ripe jammy flavors of Ravenswood Napa Valley Old Vine Zinfandel ($15.99), with hints of dark chocolate, blackberries and cocoa. At 14.5 percent alcohol, you might want to sip this one slowly. Ravenswood’s Single Vineyard Designates is a wine series that’s all about terroir. These are vineyard locations that are ideally suited to the grapes grown there: old, low-yield vines that are site-specific. Ravenswood Dickerson Zinfandel ($32.99) offers notes of mint and eucalyptus, along with sweet mid-palate fruit flavors that are well-balanced by the wine’s acidity. 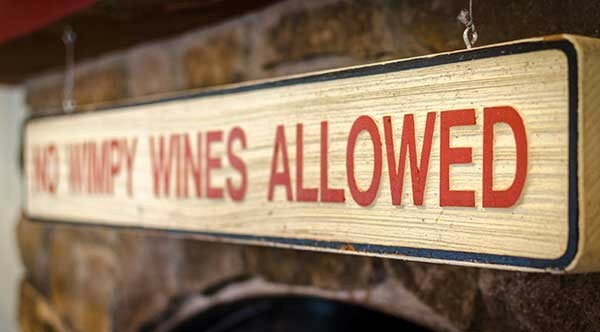 Life is too short to drink wimpy wines.